Seeing the changes in the 200 level winds, OLR images, UTH images and winds at 850 levels, we can assume South West Monsoon has withdrawn from Rajasthan and Saurahtra/Kutch. Assuming that the anti cyclone will cover NW India/Central India, South West Monsoon is set to withdraw from Punjab, Haryana , Delhi in the next 2 days. Next 3 days, 26th/27th/28th....Rain and thunder showers will occur in Ghats region and coastal Karnataka, Kerala, Madhya Maharashtra , Coastal A.P. and West Interior Tamil Nadu. Mumbai: Wednesday/Thursday / Friday and Saturday: Sunny periods of heat in the day. Partly cloudy at times. Light rains likely in some parts of city at times. Pune: likely to witness thundershowers in the evenings till Saturday. Leaving on time then similar to last year. 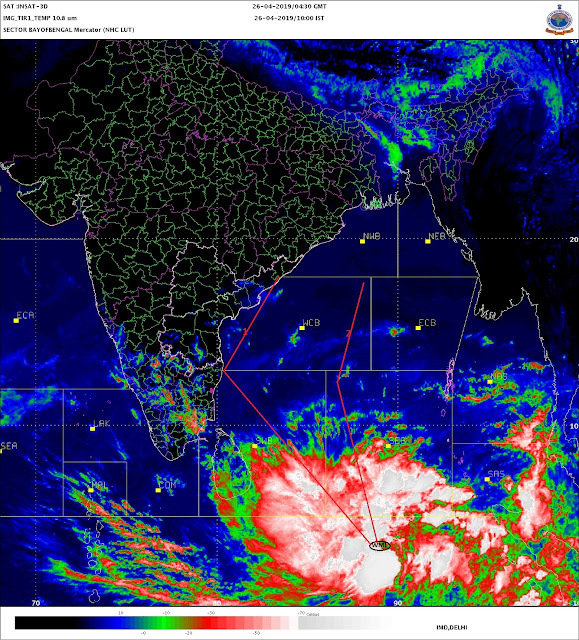 Any views on the North East monsoon? Seems to be favorable this year. @Rajesh, Why does IMD play it so safe all the time? This attitude, IMO interferes with accuracy and reliability. So according to them monsoon will withdraw from West Rajasthan after 3 days. As per you its will be gone from most part of NW India in then next 3 days. Even lay men like me can tell you are right. Saurabh: IMD has partially mentioned (today 27th) some of the conditions for withdrawal which is stated in vagaries yesterday. So, they are taking due precautions for absolute settlement of criteria for withdrawal. next in line will be M.P. and adjoining Vidharbh.